Yes, we know this is not for everyone. Yes, we know it’s polarizing. Yes, we know it’s radical. 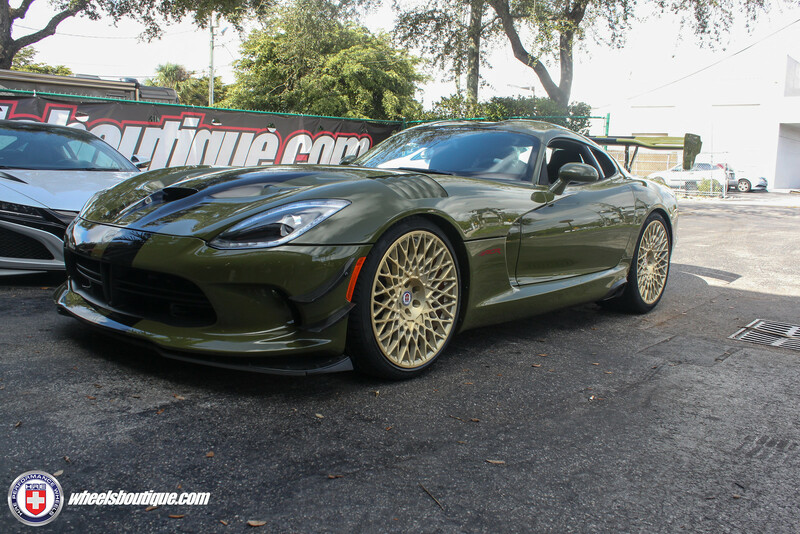 This isn’t a standard Dodge Viper, this is an in-your-face ACR with a wing the size of a table top and carbon aero pieces sharp enough to carve through air and you. 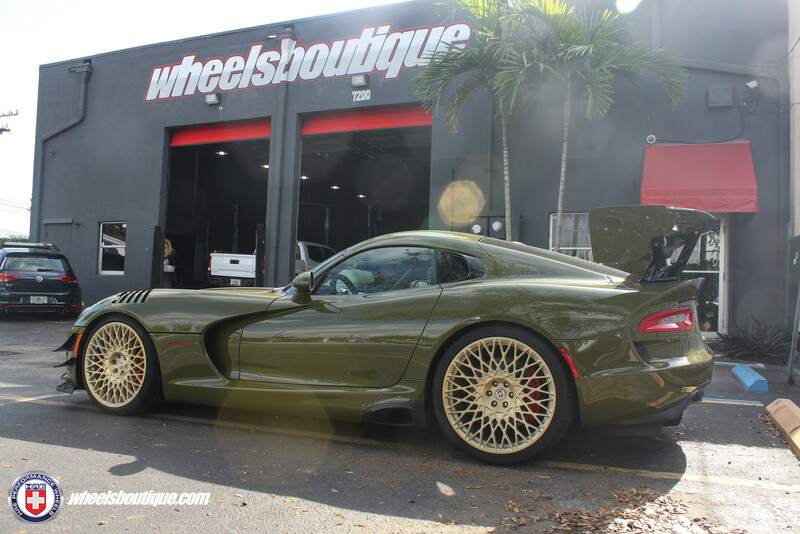 The request for this 1-of-1 Military Green snake was to be “out there” – the HRE 501M’s in Frozen Brushed Gold certainly accomplished that. You don’t have to like it but you sure can respect the idea. PM us for details, availability, and pricing. Tell us what you think by commenting below! This one is dog ****. Classics (of any variety) do not work on an ACR........imho, of course. I am a gen5 owner , the colors are hideous( a mixture of baby poop and mold) and the rims look like 80s firebird. This is just about as ugly as the Ronald McDonald gen 2 viper IMO... sorry. That is one UGLY Color, puke green! The rims look okay on the chit color and I like awesome greens, but i HATE ****/puke green colors, and that color just KILLS this car for me 100%! Last edited by Mopar Jimmy; 01-07-2017 at 02:44 AM. Saw the car on ebay a few weeks back. Love the ACR. I like green a lot (not sure about this one). Those rims sure don't help it, that's for sure. Ack. Yup looks like dog ****, and I love all vipers, but this is horrible. 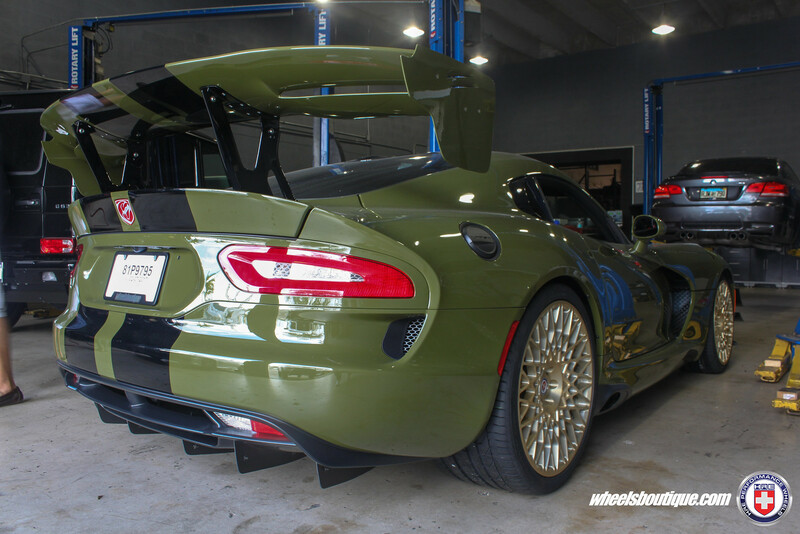 .........olive drap is a no go on a track rat like the ACR's. Simply hideous. Location: L.A. aka TooDamnManyPeopleville Ca. I don't hate it as much as some of these guys do, but it wouldn't be my choice of color combo. What kind of drugs is that pimp taking? Remember when Einkei Riken wheels were 2 grand? Me neither. I can't hate on the color scheme for that Viper.....that's someone with deep pockets saying to the rest of the world, "literally setting my money on fire just isn't entertaining anymore." 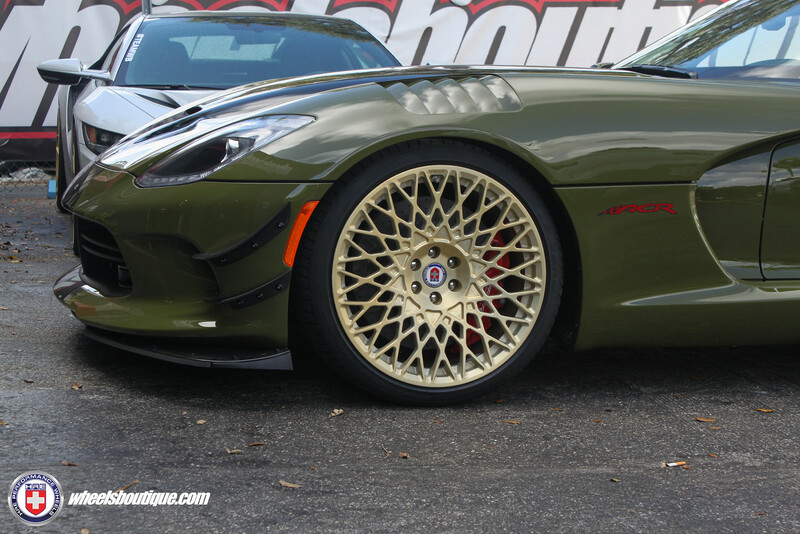 Every ACR i've seen looks amazing... except that trash can. Last edited by Mopar Jimmy; 01-15-2017 at 01:11 AM. I like the color of the car only when it's in the shade and looks darker. The direct sunlight first picture is really bad though. Is there a fund we can donate money to, so that this car may be destroyed or repainted? I bet it looks amazing when it's pitch dark and no light is around.